Everyone is searching for one thing: That one key that will tip the scales in your favor. The trick that will give you a leg up over your competition. The secret of success. As sales leaders, we want to know: What is that “one thing” that will increase sales wins? The short answer … is that there are a lot of answers. We know, probably not what you were looking for. But we’re still going to hit you with some knowledge. We made a short list of noteworthy people you wouldn’t expect to get sales advice from and explained how you can use their No. 1 key for success to increase sales performance. Tell me more: Tony says this is the number one tool that most people in life never exercise, but it’s the gift that everyone has. All you need to do to use it is make a decision and follow through. If it doesn’t work out? No worries, Tony says, because you’ll learn something. How to use in sales: If you want to make 50 calls this week, then just do it. If you want to have a one-on-one coaching session with each rep this week, find a way to make it happen. If you can’t do it alone, solicit some help. Turn your idea into an action. Tell me more: When Oprah was a child, she heard Jesse Jackson say that excellence is the best deterrent to racism and sexism. It became her motto. She got her first job in radio when she was 16 because she was a great reader, and she thinks it’s both the greatest foundation and strongest signal for success in the future. How to use in sales: Read everything. Read books about sales, blogs, case studies and eBooks. Read anything you can find about industries and your buyers. The more you master language, the better you’ll be at communicating with prospects. Tell me more: If you don’t love what you’re doing, and you’re not having fun doing it, Steve says you’re probably going to give up (what happens to most people). If you look at people who end up being successful, Steve adds, they loved what they did, so they could persevere when it got really tough. The one’s who didn’t love it? They quit, he says, because they’re sane. How to use in sales: Be passionate in your role at the sales organization. Find ways to gain enjoyment from your day-to-day activities. Tell me more: When you’re a competitive athlete, there can always be people who are as strong as you are, as muscular, perform just as well. Arnold says what puts you over the top is your mind, which makes you work out 4-5 hours a day and visualizes what the body should look like as a finished product. How to use in sales: Even if you feel like you’ve done enough for the day, just do one more thing. Make one more for phone call. Send one more email. Book one more appointment. You never know what that last one could do for you. Tell me more: Sheryl says everyone gets so many emails, messages and other incoming requests in a day that you could spend your entire day — every day, every week — being completely reactive. Then at the end of the week, it feels like you’ve taken care of nothing that really matters. That’s why she makes lists to keep her priorities top of mind. How to use in sales: Sales is a hectic profession. Use key performance indicators to keep people focused on the activities that matter. Things like scorecards and leaderboards keep these metrics front and center. Tell me more: Bill credits a lot of his business success to partnering with smart people like Paul Allen and Steve Ballmer. He says the benefits of sparking off of somebody who’s brilliant has also made the journey fun. So picking a great partner and team is crucial. How to use in sales: Build a team that fosters collaborative culture, and that will support you and each other in hitting your goals. Tell me more: Will says that most people who don’t get to places they want or aren’t achieving the things they want because of a lack of hustle — being outworked or missing out on crucial opportunities. “If you stay ready, you don’t have to get ready” is one of Will’s mantras. How to use in sales: Don’t overwork or micromanage your reps, but do encourage them to work their hardest. Remember that reps respond to different types of motivation in different ways, so you’ll need to find the incentive that works best for them. Tell me more: Angela studied children and adults in various settings to determine who was successful and why they were successful. She visited military academies, spelling bees, private companies and more to see which cadets, students and salespeople (respectively) would perform the best. In all those different contexts, one characteristic emerged as a significant predictor of success: grit. How to use in sales: Basically, keep and calm and carry on. When you celebrate the wins, keep in mind that more work needs to be done. When you’re feeling discouraged by lost deals, reflect on the things that you’ve accomplished. Keep your eye on the long-term prize, then work on getting there. Which of these resonates the most with you? It might be different for every person. Share these with your sales reps to see what they think is the key to success. 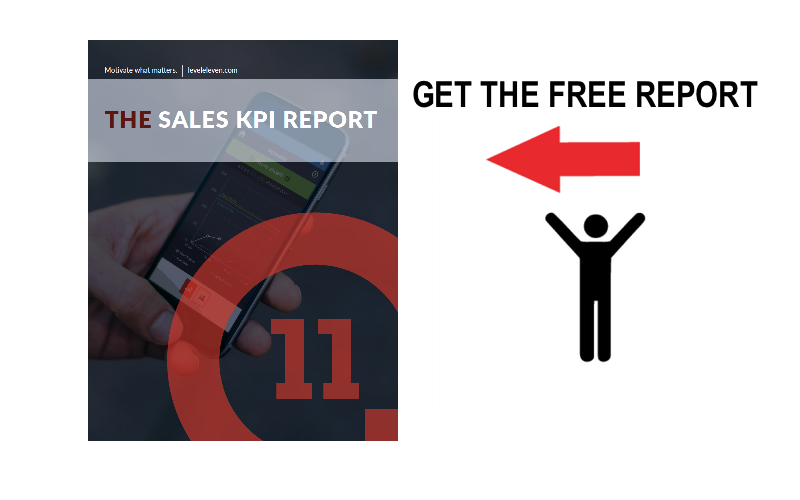 As sales leaders, we want to know: What is that “one thing” that will increase sales wins? The short answer ... is that there are a lot of answers.